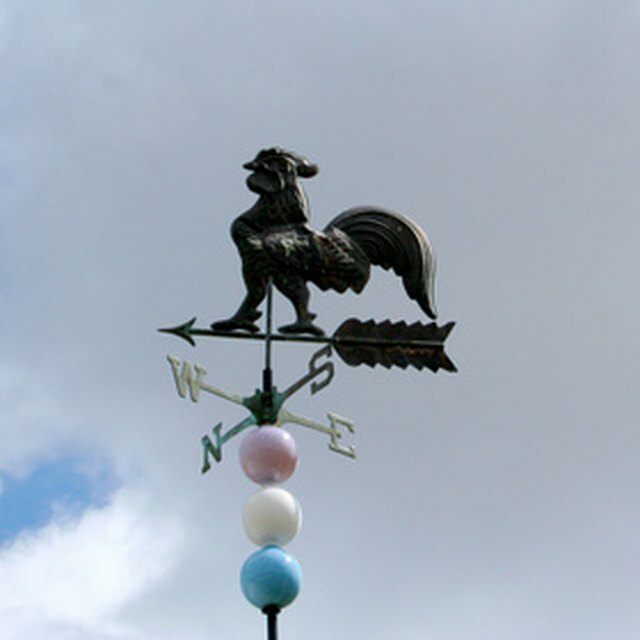 Barometers are used by meteorologists to keep track of pressure in the air. They also have an interesting history regarding the man who invented them, how they got their name and what they meant to citizens in private society centuries ago. Kids may find these facts useful and fun. The purpose of a barometer is to measure any changes in pressure within the air. Depending on the air pressure, meteorologists can determine the type of weather to expect. When the air pressure gauge goes high on the unit it means that a storm is coming in and rain is expected. If the gauge shows falling pressure it means a sunnier climate is forthcoming for the areas. It was a student of Galileo’s named Evangelista Torricelli who invented the barometer. The original one appeared in the early 1600s. Torricelli applied the concepts of a vacuum to his ideas about measuring air pressure. He had been familiar with his teacher’s many notes and used them to help construct his new invention after Galileo died. The first barometer used water to gauge the weight of the air in the atmosphere. It took about 25 years before the barometer caught on enough to be marketed in private society. 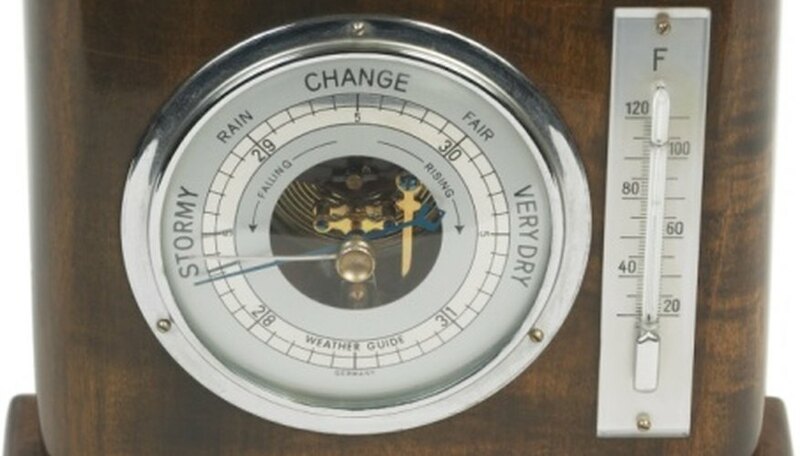 Once it did, many craftsmen including clockmakers and furniture makers began designing impressive pieces to withhold the weather instrument and make it a decorative piece in homes. Over the following couple of centuries they became quite prized and were a status symbol often found only in houses where nobles dwelt. Toricelli did not actually give the barometer its name even though he is fully credited with its invention. That honor went to a man named Robert Boyle who was an Englishman. He came up with the term in 1665 and formed it from two Greek words which, combined, meant "measuring weight." The word fit since barometers measure the weight, or pressure, of the air. Parducci, James. "Barometer Facts for Kids." Sciencing, https://sciencing.com/barometer-kids-8451558.html. 24 April 2017.